Had to do it. Just had to see what it would look like. Ever been there? I actually had dinner with a friend who I hadn't seen in awhile. Made just a little something for her. 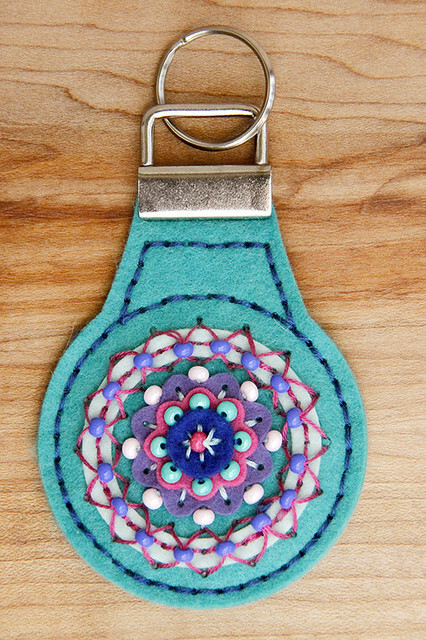 The Stitched Key Fob was perfect for a little project. Took me all of 45 minutes. Such a quick little project. The colors you can add with beads and floss really make it something special. And here's another Craft Brew card for you. We'll call this one "1,2,3 Floor! ", because if I would have three pints like this, that's where I would be! I used the Pattern Vellum Pack to cut the foam from the Pub Glass Die. Just a different twist on the theme. I also said previously that the Clipsters Mini Market Kit was the perfect companion for Craft Brew. Lots of masculine elements. The "Oh Yeah" is going to be used a lot. 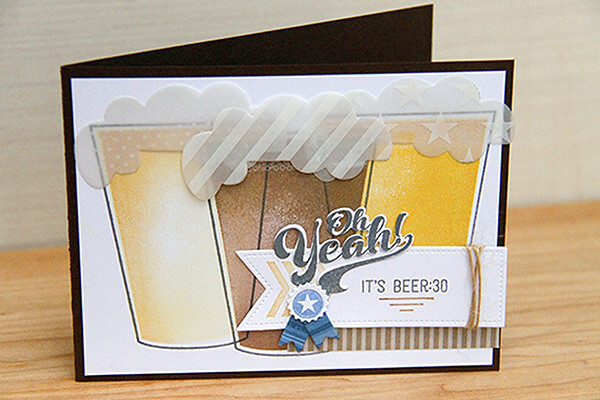 The "Beer:30" was stamped on a Keep it Simple Frame die cut banner. .
Where does one purchase the metal piece (key ring holder?) that is on the top of the fob? You want the 1 inch. Much cheaper this way than buying one or two at the craft store.